We’ve simplified management and deployment to help lower costs, including in-place upgrades from Windows 7 or 8, and focused on making device wipe-and-reload scenarios obsolete. We’re also providing businesses with more choice in how quickly they adopt the latest innovations, and are delivering continued improvements based on customer feedback. Come learn the latest information about Windows 10. While Windows has always provided great learning outcomes for students and a comprehensive platform for teachers and administrators, there are several reasons why education customers in general should take notice of Windows 10. From the minimal learning curve user experience for mouse and keyboard users, to the familiar usability scaled across Windows 10 devices, teachers and students will be productive and comfortable from the start. Hear in this session about how we are providing simplified management and deployment to help lower costs, including in-place upgrades from Windows 7 or 8 that are focused on making device wipe-and-reload scenarios obsolete. Additionally, learn about the new, unified app store for education allowing flexible distribution apps. 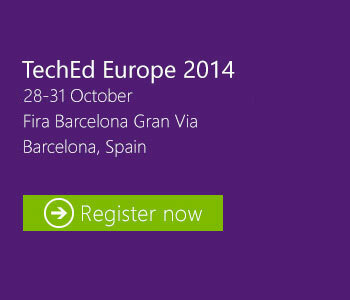 Finally, we will talk about classroom orchestration capabilities and Windows 10. The Internet of Things is here now and business leaders are looking to connect their things and harness their data to unlock new opportunities and create business value. Today, Microsoft delivers a comprehensive portfolio of device platforms, software, and services to help you realize the power of the Internet of Things and we are continuing to deliver innovation to make the Internet of Things a reality for your business. In this session we will talk about why Windows 10 is the ideal platform to power the big and small things that matter most to your business. Disrupting the revolution of cyber-threats requires a platform with revolutionary security capabilities and Threshold is rising to the occasion. In this session we talk about technologies that can truly end the use of passwords and make multi-factor authentication the default, provide an easy-to-use and deploy data loss prevention (DLP) capability right in the platform, and technology that enables organizations to virtually eliminate malware threats to the Windows platform including those that come by way of the browser. WIN-B337 Windows 10: The End Game for Passwords and Credential Theft? Credential theft has become a crisis for organizations worldwide and so far the industry has really just been “talking” about moving to better solutions. The solutions that have been made available so far are typically just an incremental step towards the actual end game solution or are too complex or expensive to deploy. The “talk” ends with Threshold, which delivers the end game solution; one that is easy to deploy, always multi-factor, theft and phish proof, interoperable on premises and on the web, and so inexpensive that there is almost no excuse to not take advantage of it. Come join us to learn about how Threshold can help solve the credential theft crisis that you are facing.